Century City, a 250-hectare New Urban estate just north of Cape Town’s CBD, is experiencing an unprecedented boom, with new hospitality, residential and commercial developments totalling more than R4,3 billion recently completed, under construction or in the pipeline. This is the largest development undertaken to date by the Rabie Property Group at Century City and will bring more than R21billion the value of development which has taken place in the 250ha mixed-use precinct since the first sods were turned in 1997. Work on this mega development, which will be anchored by a multi-functional Square and will be set over a super parking basement, has started with completion due for end 2015. John Chapman, a director of the Rabie Property Group, which has been responsible for the bulk of development undertaken to date and which owns the remaining undeveloped land and associated rights, says Century City is now home to more than 500 businesses and 3000 residential units with an estimated 50 000 people now living or working in the burgeoning precinct. 3000 square metres of offices totalling R60m in a soon to be launched new mixed use development. Residential developments underway include the R260million third apartment block in the Oasis Luxury Retirement Resort nearing completion and Ashton Park comprising 147 units at a total cost of R270million. Three further phases are planned at Oasis with one of these – a block of 45 units for a total R220m expected to be launched before the end of the year. Recently completed residential developments in the precinct include Quayside and Quaynorth providing at total of 91 units at a cost of R143million while 140 units totalling R270m are planned as part of a new mixed use development, Mayfair, to be launched later this year. Commercial developments completed in recent months include the 4000 square metre The Business Centre and the 4000 square metre Philip Morris offices, each developed at a cost of R85m, six office blocks in Park Lane totalling R83m, 39 sectional title office development of 3600 square metres, The Quays for R82m and an R85m office block in the Estuaries for Old Mutual Private Wealth. Over and above this infrastructure projects totalling R130m are planned or being undertaken including R45m of roads and canals in the Bridgeways precinct, an R18million upgrade of Sable Road, the R16million rollout of Century City Connect – Century City’s cutting-edge, open access fibre optic network which is enabling the country’s fastest voice, broadband and multi-media services and a R36million trunk terminus for MyCiTi. Chapman said there were numerous factors contributing to the success of Century City, not least of all its central locality, its high standard of infrastructure and services, its safety and security, its very strong public transport offering including MyCiTi and the high quality of life offered in the precinct with a wide array of world class amenities from schools to gyms, Intaka Island and Canal Walk literally in walking distance and the emergence of a strong community spirit with sports clubs, churches and the like having mushroomed in recent years. 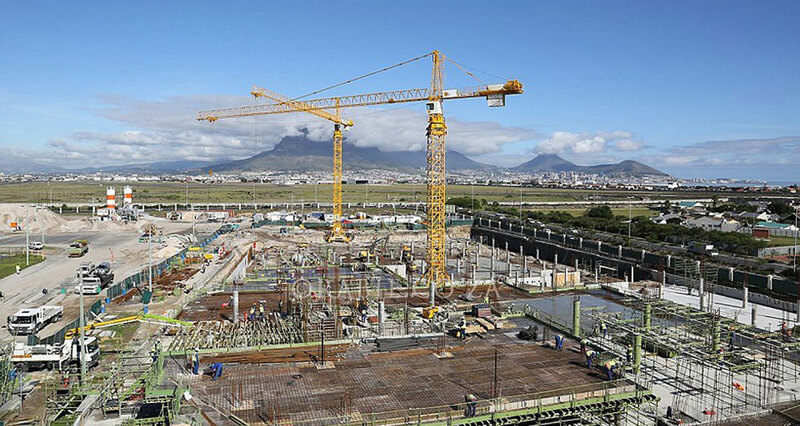 When fully developed Century City will comprise a total of 1,25million square metres of bulk, of which just over 1 million square metres has been built or is in the pipeline, said Chapman.